One year in, and questions remain over what impact the Colorado Water Plan is having — or will have — across the state. Even proponents for the first-of-its kind strategy — a non-binding set of goals and guidelines that prepares for the year 2050, when Colorado’s population is anticipated to more than double to 10.5 million — acknowledge it’s gotten off to a slow start. But after all of the excitement, and with it some friction, surrounding the water plan’s unveiling last November, the biggest steps to come revolve around its actual execution. The water plan calls for some lofty objectives on that 35-year timeline. They include achieving an additional 400,000 acre-feet of urban conservation, attaining that same amount in new storage, and using alternative methods to share 50,000 more acre-feet of water designated for agricultural needs. Such techniques entail approaches like long-term rotational fallowing and short-term leasing and supply agreements to keep the water with farmers and ranchers as needed to continue raising the crops we all eat, but through procedures that also provide for the Front Range’s growing populations as available. For context, an acre-foot is the U.S. standard measurement concerning bodies of water, and the typical American family uses an average of 1 acre-foot of water (about 326,000 gallons) each year. 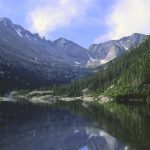 Other aspects of the water plan comprise improved water-saving land-use planning, as well as stream management plans via the state’s nine basin groups, which encompasses the Colorado (River) Basin Roundtable through Summit County. 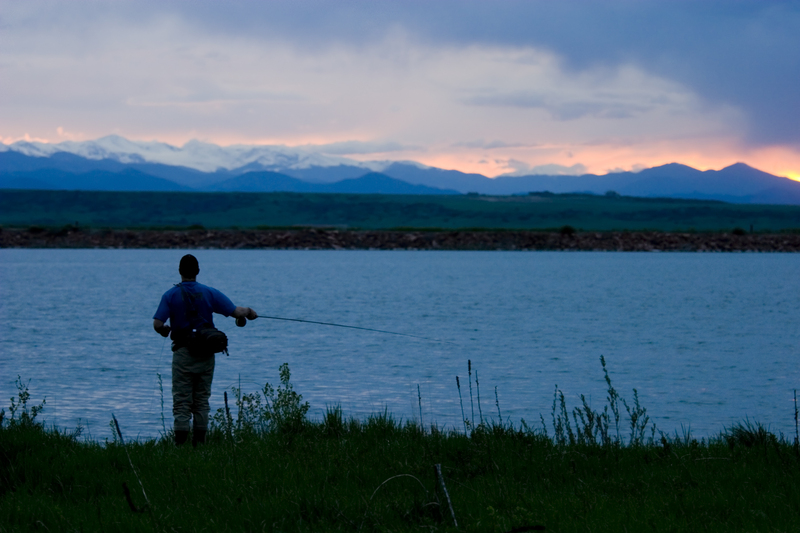 Colorado’s water year in 2016 was about average, which experts see as a strong season. 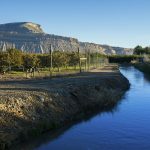 Year to year, there can be serious volatility, with the Upper Colorado River Basin — made up of Colorado, Wyoming and parts of Arizona, New Mexico and Utah — seeing record lows over the past 15 years in 2002 and both 2012 and 2013 for water available to the Lower Basin of California and Nevada, as well as the other portions of Arizona, New Mexico and Utah. The inflow into northern Arizona’s Lake Powell, where the Colorado River runs before terminating at Mexico’s Gulf of California, is the ultimate determining factor. Those totals for the past year mean almost nothing for the one upcoming, however, with drought always a possibility in the Southwest. It’s another reason why settling on a comprehensive state plan that satisfies all of its needs, including the recreation and wildlife economies of places like Summit County and throughout the Western Slope, is so pivotal. At present, the biggest strides for the plan have been made with the Colorado Water Conservation Board (CWCB) producing proposals for the allocation of grant money from its annual Water Supply Reserve Fund. The account, created from legislation passed by the state’s General Assembly in 2006, is spread across various water projects that theoretically align with those goals of the water plan. To date, the fund has provided more than $27.5 million for projects spanning the nine water basins. The focus of late for how to spend those dollars consists of funding stream management plans and forthcoming water efficiency programs. At its bimonthly meeting in September, the CWCB also updated its eligibility criteria for what qualifies recipients to receive those funds based on a checklist. The focus of this month’s meeting, scheduled for Nov. 16 and 17, will now be on how to carry on financially supporting projects at levels of the past given momentous shortfall in revenues that fund the account. 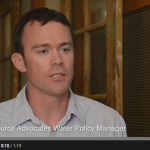 The Water Supply Reserve is supported by severance taxes produced from energy purchases. With a weighty drop off in production of gas, oil and coal, on top of unremarkable sales, the CWCB will need to come up with a way to backfill millions of dollars in losses in the interim, while also finding a solution for the future, if it hopes to hit some of those targets in the state water plan along the named time frame. A proposal to help allevaite investment strains includes a loan guarantee fund that would back regional project requests with state dollars to ensure cash advances are obtainable to complete water ventures moving forward. Sales and container taxes, mill levies and water tap fees are other mechanisms the CWCB will explore — all of which would either need to come through possible legislation with the General Assembly or from future voter approval — to come up with the assets needed to resume with the implementation phase of the overall plan. But with both education and infrastructure accounts also impacted by the severance tax downturn and competing for the same funding, no easy answers currently exist. It’s only after new dollars are discovered that further implementation of the water plan can occur. 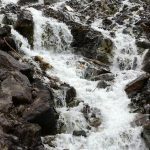 According to the state water roadmap, that means bolstering those stream management plans and applying additional scrutiny to potential large-scale water developments down the road, if deemed necessary. More emphasis on conservation and increased water efficiency will also be a large part of purported success. The one thing that is certain, though, is that those who contributed to helping shape the framework of the water plan will keep at it given the promise the state spawned with its release. Holding decision-makers accountable and ensuring the plan does eventually have real impact across Colorado persists as their focus.